âme sœur~ noun, meaning soulmate in French. In this world, everything is black and white, only once you find your soulmate do you start seeing things in color. Lucy Heartfilia has grown up a colorless life. Everything looks the same, all she has ever known is the color white and black. She has heard from her parents and other adults that everything looks so much more lively with color, you just have to find the one. Your soulmate. 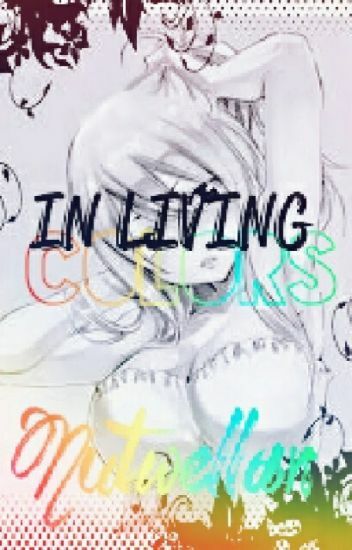 At the age of 17, she craves to see colors, experience them. A lot of her friends have already found their soulmates and continuously talk about the new world they have joined, leaving Lucy in the dark. That is, until her whole world is turned upside down. "Really? What's you're favorite song then?" "Well, everyone has a ghost, don't they?" He thought she was just a wig wearing, make-up abusing self obsessed pop star. Until he heard her song. She wanted to leave. She had to leave. She had to get away from him. He was becoming violent. Not only mentally, but physically as well. It was the second time he had hit her when she decided it was time to go. The poor child, only 9 years old and she's felt so much pain. Such a young kid isn't supposed to cry by herself over her mothers death. But she did. She cried all alone, in the rain. Her father ignored his child. He had changed. And it was all her fault, in his mind. Lucy was only 8 years old when her mother passed. Layla Heartfilia. She was ill and knew she had to go sometime. And when she did, Lucy's dad changed. And she didn't realize how much he's changed until the first time her laid his hand on her. Lucy slowly began to fear her once loved father. With a past as terrible as this, Lucy thought no one would understand her. Not only that, but that no one would like her. Although she wished to run away, she didn't know where she'd go, until she found a letter her mother had wrote for her before she passed. It had a place for Lucy to go. Though, this note was for when Lucy was old enough. And she wasn't. But she went anyways. She traveled far. Real far. Town after town, she felt they were all too close. Her travels came to an end when she found a guild. Fairy Tail. The one her mother had sent her off to. Lucy never had felt so loved like the way she did when she entered the guild. It was the first time in a while that she felt at home. She had new friends, new parent figures, and, to her surprise, a lover. Lucy Heartfilia, a 22 year old women works as a Gr 4 teacher at Sunshine Hills Public School. Natsu Dragneel, a 25 year old man, is the boss of the multi billionaire company, Dragneel inc.
Natsu's little sister Wendy is in Lucy's class. He has been taking care of her in his mansion ever since their parents disappeared. Lucy lives alone in a small decent sized apartment with her dog Plue. One day, Natsu runs a little late in picking up Wendy from school so, Lucy stays and looks after her until he arrives. When he gets there, they chat a little and decide to have a parent-teacher meeting at a small coffee shop. In this case, it would be a brother-teacher meeting. Little does Lucy know, that Natsu is rich. Lucy Heartfillia was a normal 10 year old girl. She was happy and had a wonderful time with her family. That is, until one day she gets in an accident. Lucy and her parents are taken to the hospital, with Lucy being the most injured one. Unfortunately, something horrible has happened to her parents; along with Lucy legs. She can no longer walk and has been in a wheelchair for 5 1/2 years. Lucy was never really the same after what had happened. What happens when she goes to FT High and meets a pink haired boy? Lucy had been ignored after she was defeated at the Grand Magic Games. Only Natsu, Happy, Cana, Gildarts, Wendy, Carla, Gajeel, PantherLily, Levy, MiraJane, Lisanna, Juvia, Romeo, Master Macarov and Master Mavis are the ones who talks to her. She was always beaten before her friends get to the guild. When they would arrive Lucy was already beaten up. One Day Lucy got drunk and Natsu bring her home. She then confess her love for Natsu, which Natsu accepted. The next morning she woken up to see Natsu next to her. Of course she did her normal routine on kicking him. But sge notice they wete naked! Fear wash over her but it went away as soon as Natsu explain what happen. Of course they started dating but the guild didn't approve, except for the ones who don't beat her up. Natsu had enough so he and Lucy leave the guild and went away far away from Fairy Tail. 19 Years Later 3 kids came to the guild. 2 boys with blonde hair and a girl with pink hair. The boys remind them of Natsu but with blonde hair. The girl remind them of Lucy but with pink hair. Who are these people that look like Natsu and Lucy? Lucy was born with the ability to see what's in people's hearts, every emotion. Love, hate, sadness, anger, jealousy, sometimes even their past. She can even see what's in her parent's hearts. Lucy could see love in her mom's heart, but not with her father. Not after her mother's death. It's not like her father abused her, he just hated seeing her. And since he felt that way, she left. Ever since then Lucy has hated this ability. It never crossed Lucy's mind to tell anyone about this ability Lucy has. So she never told anyone because she was afraid people would hate her for looking into people's privacy. She would just keep it a secret. Now Lucy has joined a junior high all on her own, how will it go for Lucy and her ability to look inside people's heart like glass? This is a story which the protagonist here is Natsu. He is a nerd here and Lucy's character here is that she is the popular girl who fell in love with 'Nerdy Natsu'. A part of this story is already written in my other book which is "Fairy Tail High"
Lisanna is the antagonist which also happens to be a cheerleader and is gonna take Natsu away by showing of her skills and let him fall in love with her. Well,NaLu always have a happy ending here at my story so its not that sad. The name is Lucy Heartfilia, Weirdo extraordinary! Im a freak of nature, at least that's what everybody says I am. I agree with that wholeheartedly. I mean who talks with imaginary friends and wishes that she could gather up the nerve to talk to the most popular guy in school, the one with salmon hair, other than freaks right? This is my weird story of how I became a freak and still living up to that name. It really hurts when you hear people telling lies, it makes you feel like they don't trust you. But unfortunately detecting lies isn't the only thing I'm good at...I can read people. No, not like reading their minds, but like reading their character and past. I know that my best friend has been abused, my teacher was neglected as a child, my bully has been in the closet since he was 5 and has grown up in a religious household, and my ex has a anger issue because of his undiagnosed depression.